Installed this flooring over two years ago in a high traffic area around the bar area of our restaurant. Shows little wear. 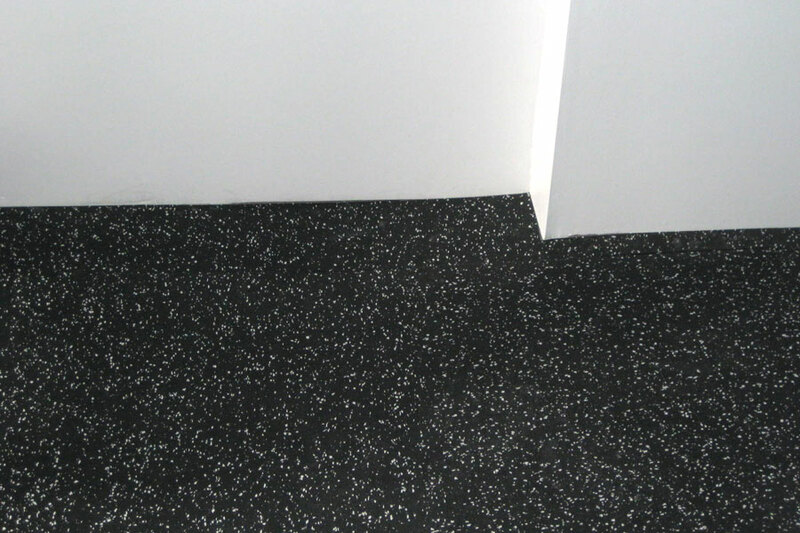 Liked it so much we replaced another section with matching rubber tile which had been carpeted previously. It's easy to maintain, just sweep and light mop daily keeps it looking like new. Highly recommend this product. First, I have to say that the customer service at Rubber Flooring is great. I had a couple of issues with a change of address and the staff was great at making sure things were taken care of...okay, flooring. 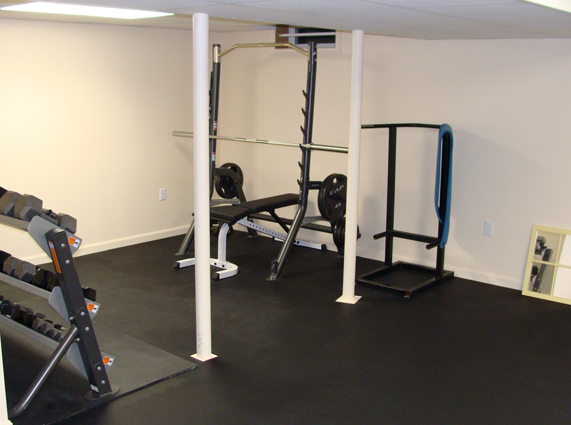 I bought this particular product for a home gym floor that I set up in my garage. 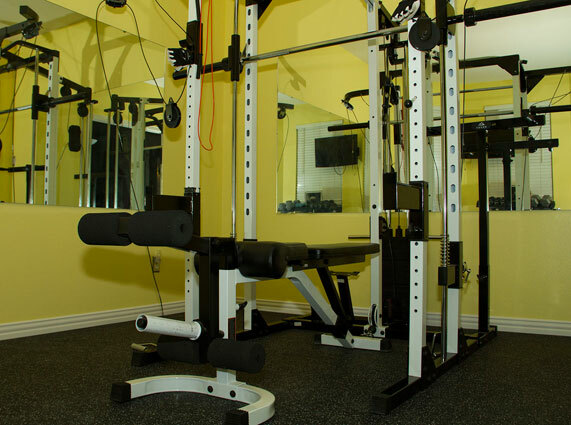 I do a lot of lifting and functional fitness training, so I needed a durable product that can handle some abuse. The staff recommended the 8mm tiles over some of the other products and they were right. There is just the right amount of stiffness and durability, as well as, some comfort for things you will do from the ground. 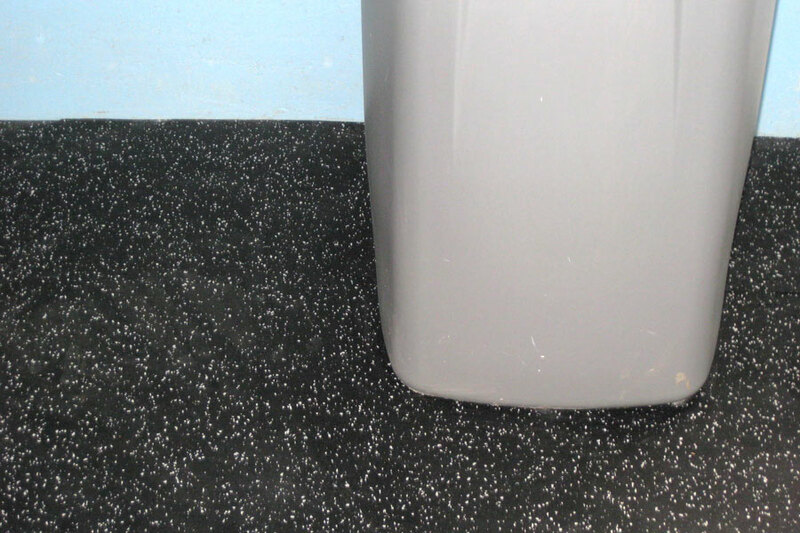 The tiles fit nice and tight together and the edged squares make the flooring look professional and neat. 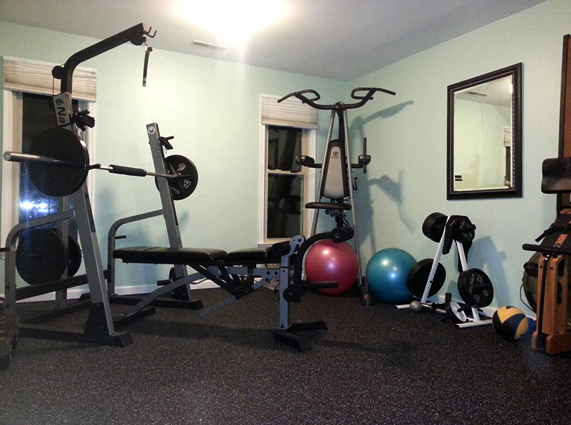 I have used the gym for the past three weeks and I am very happy with the purchase and would probably buy more as I expand the space. It cleans up easy (I sweep it with a broom and wipe it down with a wet towel once a week). Well worth the money! 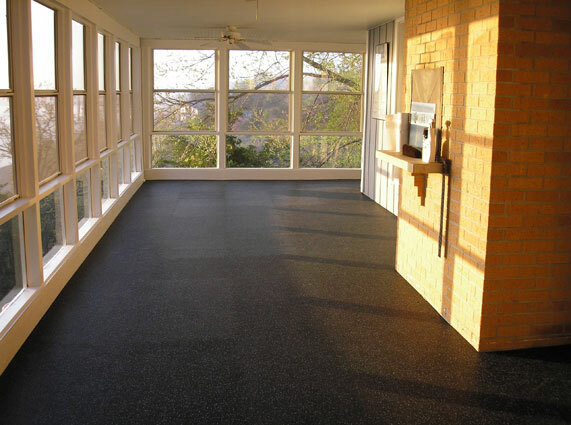 I really like this flooring. 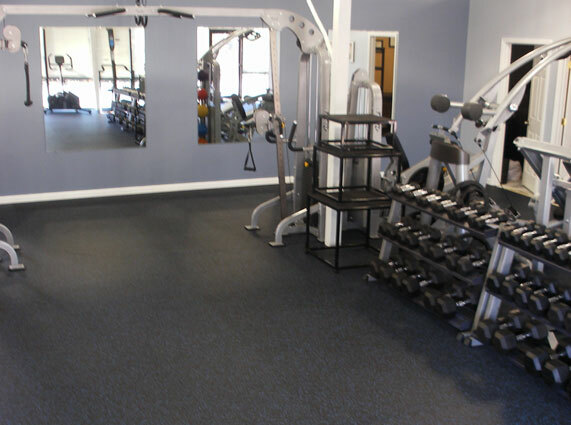 I was going to go with the rolled flooring due to seams but after talking with customer service and the layout of my gym I decided to go with the 2'x 2' tiles. The seams are really not visible. I originally thought I may have to use a 2 sided tape around the edges but this is snug and lays down nicely. Installation was pretty easy, a little time consuming because I had a lot of cuts. I would suggest to change your blade often. I have only had this down for 5 days and do not have gym equipment in yet. I have had many dust prints on it due to construction and it wipes up very easily. I would recommend this product. 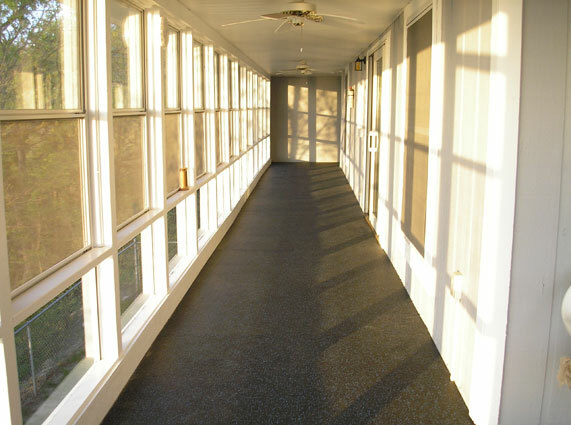 The flooring is as described. Simple to put together, durable and strong. The unevenness between locked tiles is minimal and seems to diminish after frequent use. Complete makeover in less than 12 hours! Shipment arrived very quickly and straight out of the box there was no rubber smell! 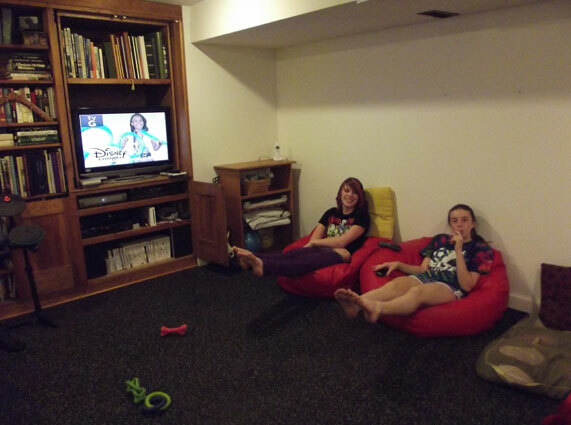 Carpet and pad was torn up and new flooring laid within 4 hours! Total time spent moving furniture out, laying flooring, and moving exercise equipment back in was less than 12 hours. 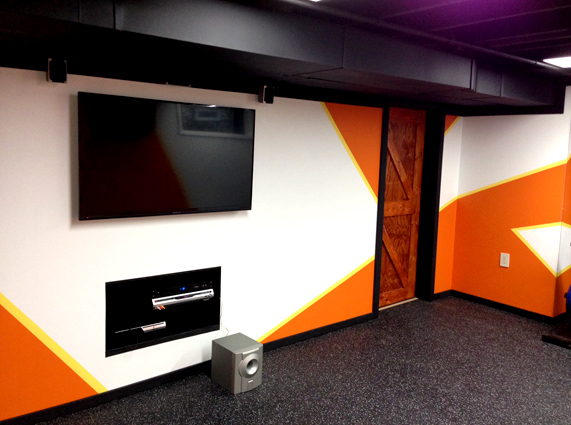 The walls could use a bit of color and we have ordered mirrors from Lowes, but otherwise we are thrilled! The flooring arrived in about a week. 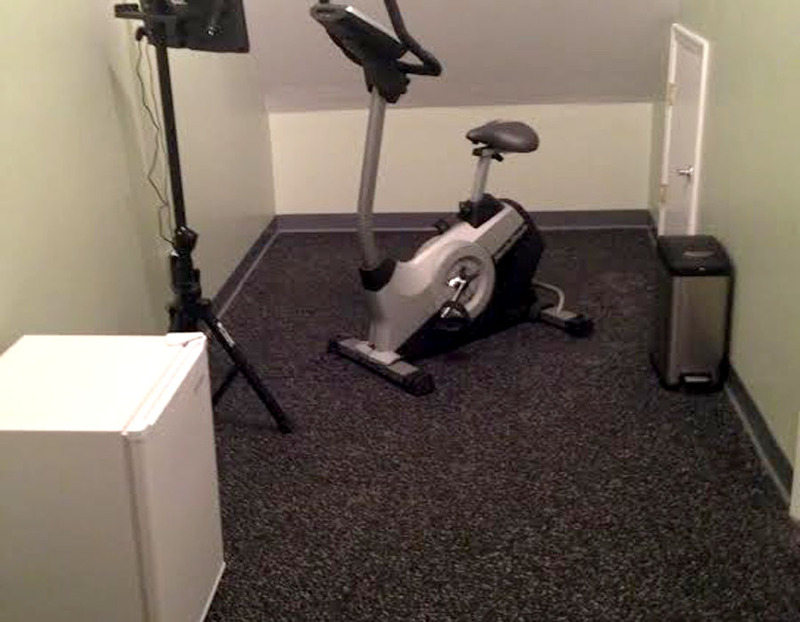 We needed it for a storage room we were remodeling into an exercise room. Very quick and easy to install. The tiles fit together perfectly, no gaps at all. One thing to keep in mind: I had to cut pieces along an entire two walls. The pieces I cut were each smaller than half of a tile, so I was able to use the same tile to cut two smaller edge tiles. I ended up over-estimating how many tiles I needed by about 20%. Very happy with the end result. The tiles fit together almost invisibly. Oh, one other thing: Pay attention to removing any nail heads or other lumps in the floor before putting the tile down. This flooring looks fantastic and was very easy to install using just a utility knife, straight edge (T-square), and measuring tape. 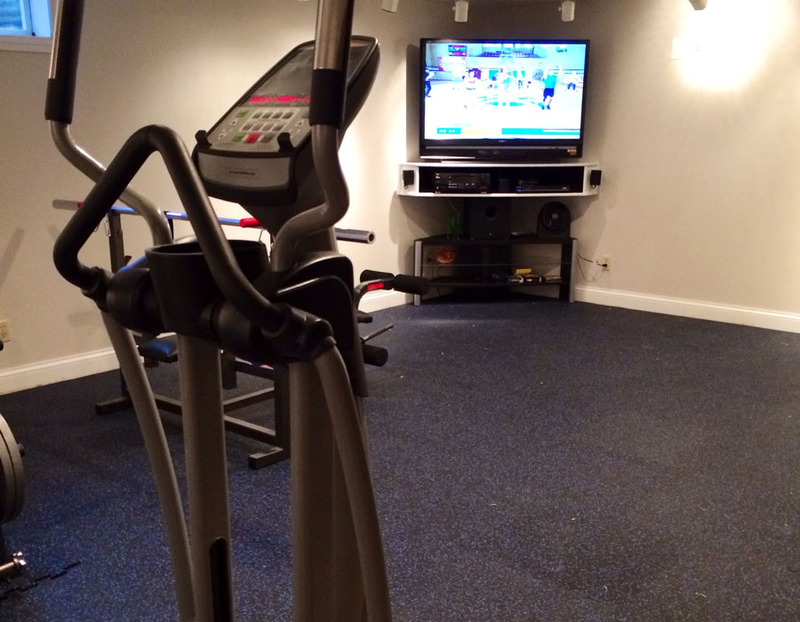 The flooring completely changed the way our workout room looks and functions. I would recommend this product to anyone. Take your time measuring and you'll have no regrets! 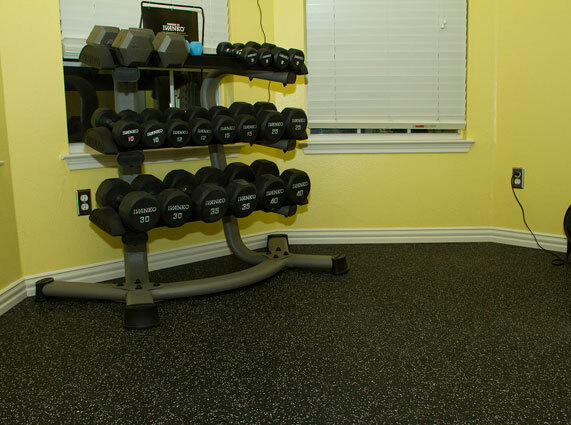 This flooring is perfect for a home gym and looks great. The only problem is that even after a month, it still smells like rubber. I have tried airing it outside for a week and have mopped it with pine sol, baking soda, and other cleaners to no avail. I contacted Rubber Flooring Inc, and they suggested that I apply heat to it to get the gases to release. I'm going to try a floor steamer next and see if that works. I have had my floor for a few weeks now and I love it. 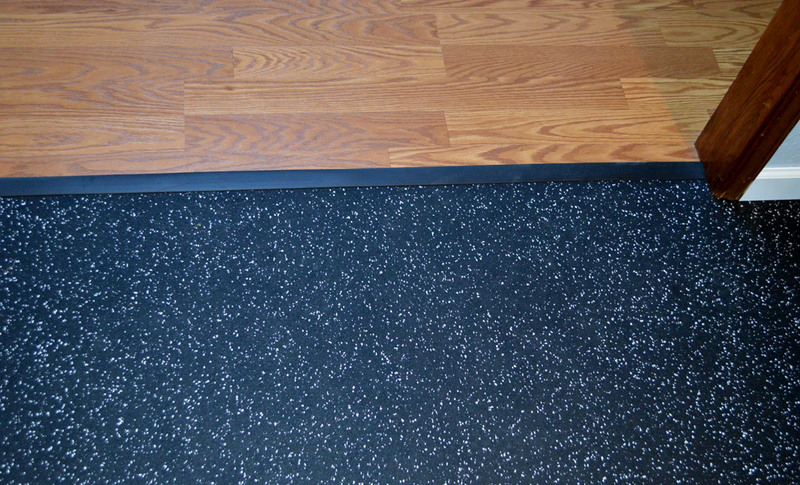 Pro's: Great floor that can handle weights being dropped on it (not power lifting stuff but when you need to drop a dumbbell fairly close to the floor). Easy to assemble but does require a little strength to put together last corner squares. Easy to vacuum and clean. Con's: The smell of rubber is fairly strong and hasn't diminished much after a few weeks. It is a gym floor so no big deal to me. I would buy again and will when I graduate school and move to my new place. 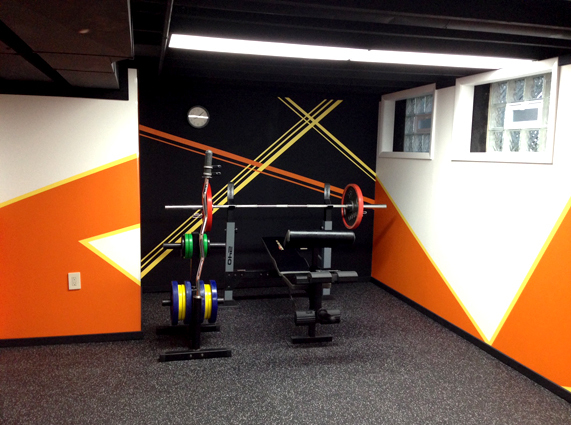 This flooring for the home gym was just what we wanted and it looks great. Easy to clean, It was a very good experience with this company. I would recommend this product. We had it installed professionally and the installer liked it too. 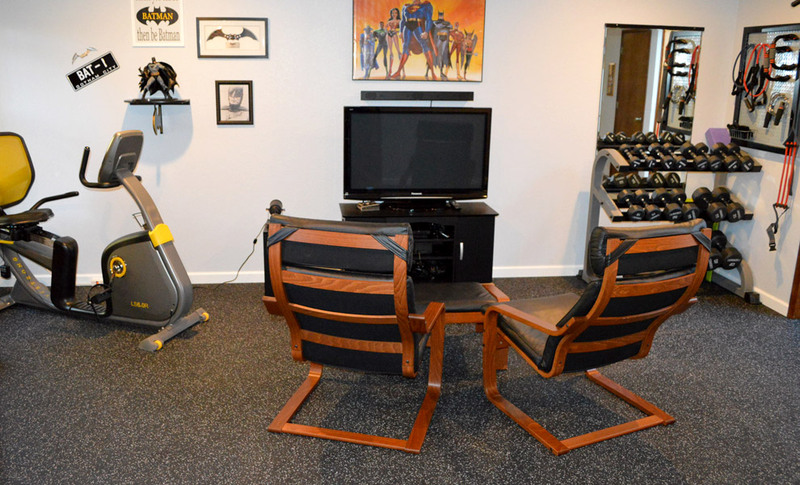 I'm very happy with the end result and my exercise room looks great. 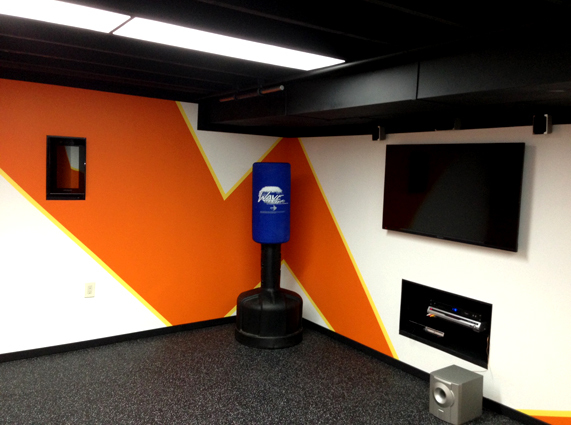 With a utility knife and a T-square, the install time in a 14x14 ft room was about 3 hours of work. My only suggestion would be to manually order the different pieces (corners, center squares, etc.) 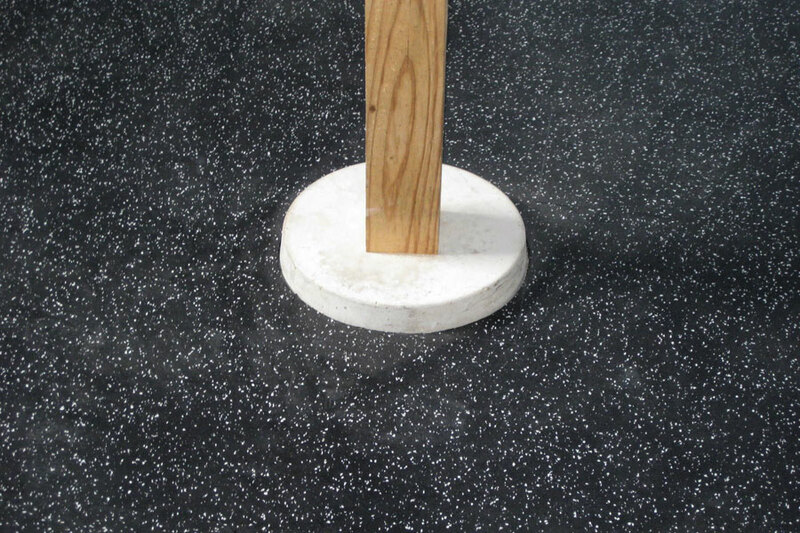 after careful measurement as opposed to just entering room dimensions and leaving it up to Rubber Flooring Inc to estimate the number and type of pieces you need. I ended-up not having the optimal mix of pieces and had too many side pieces and not enough center pieces and had to order more. I would almost advise to just order all center pieces and simply cut corners and straight edges, though that takes a little more work. It's impossible to go the other way and turn a straight edge or corner piece into a center piece and that's where I ran into a waste problem. 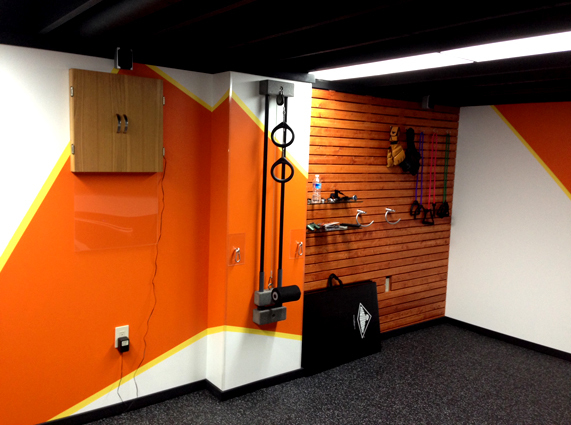 We recently converted our single garage into a gym. 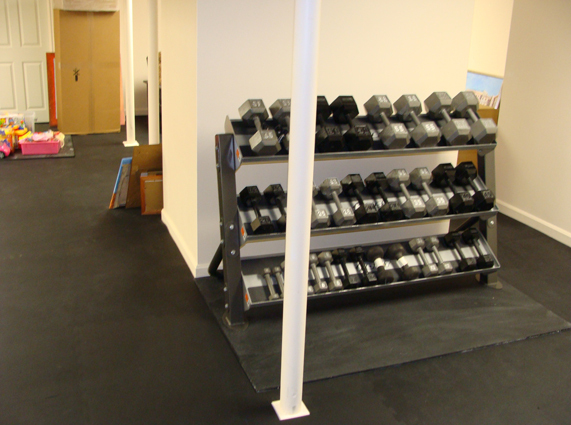 We installed the flooring over a concrete floor, and it has proven to be very durable. It installs very easily, and looks great.